What I love about her is that she’s so very real. Have you ever started a blog will all the right intentions, and then life just gets in the way? It’s only failure if you give up. And you’ll read below that Victoria tried blogging 8 different times. 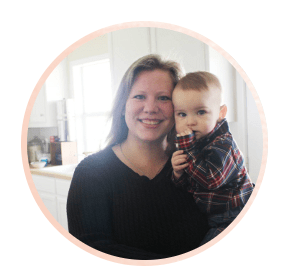 Her drive to stay home with her little one kept her going and she finally attained success! Let me know what you think about the post in the comments below! Enjoy! Hi! I’m Victoria from A Modern Homestead and I write about frugal living, homesteading skills, and real food recipes. But recently I’ve been sharing a little bit about how I make $2,000 a month as a stay at home mom with a small blog! Being a stay at home mom has been my dream since I was a little girl, and after 10 years of infertility struggles, we welcomed our son into the family! He’s now 22 months old and the light of our lives! Just before I found out I was expecting him I decided I wanted to try blogging again. This was to be my 8th attempt (yes, you read that right!) at started a blog that I would love writing. I had tried writing about all sorts of topics that just didn’t fit my passions in life. Finally, I sat down with a piece of paper and wrote down all the things I actually loved doing, not just writing about. The list included canning, weaving, frugal living, meal planning, and so on… with just a little brainstorming I realized that I was creating a modern homestead. A place where the skills of days gone by could thrive and I would be able to keep up with all the things I love about modern life (hello, Netflix!). So I made a plan, wrote up post ideas, and got to work! It was tough at first to juggle blogging with being a mom, but having a game plan and a to-do list really helps me. 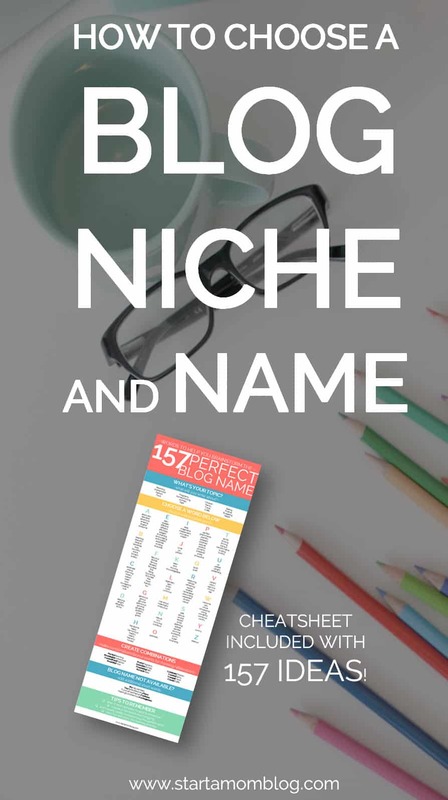 I also adore spreadsheets and have at least 10 that cover everything from my Pinterest schedule to social media shares, blog post ideas, and more! Much to my surprise this blog actually stuck and I was excited to start making money with my newfound passion for blogging. >>> Love spreadsheets? 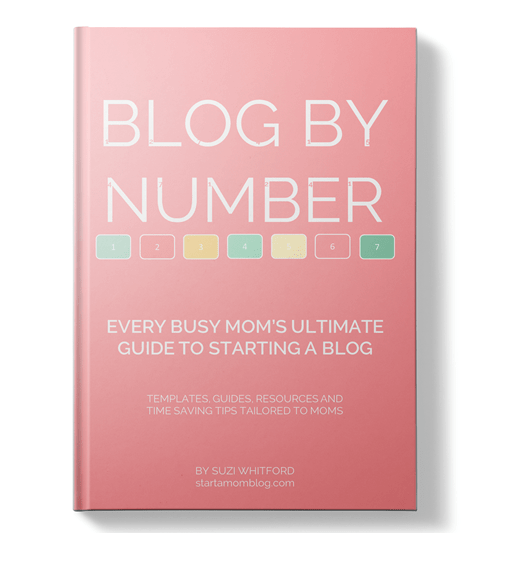 I’ve included a bunch to help you in the Blog by Number course for moms. But it wasn’t as easy as I thought to find information on exactly how to make money by blogging. There were many years I just blogged for free. I definitely made a lot of mistakes along the way, but finally, I dug down and figured out how to make money from my blog without having to wait for more page views. Three years ago I was sitting where many of you have recently sat; in front of my computer staring at a blank page that read “New Post” and wondering what I had gotten myself into! Flash forward 2 years to me still in front of that same computer, spending 20-30 hours a week working on my blog, and spinning my wheels trying to make more than $100 a month. To say I was about to give up is an understatement! I had read all sorts of content on profitable blogging, but the suggestions given didn’t really apply to me until I reached at least 100,000 page views a month. So I waited. And waited… and waited! Maybe you’re in the same boat? You have page view numbers that you’re excited about, you’re seeing growth, you’re gaining followers, but you’re still not making money! Let me give you a big dose of hope! Well before I hit 100,000 page views a month (I’m still not there!) I realized that I was tired of waiting. So I dug into the idea of making money with a small blog and I emerged with a ton of ideas to try! Once I figured it out, my income shot up at a steady predictable rate and it shows no signs of slowing down! 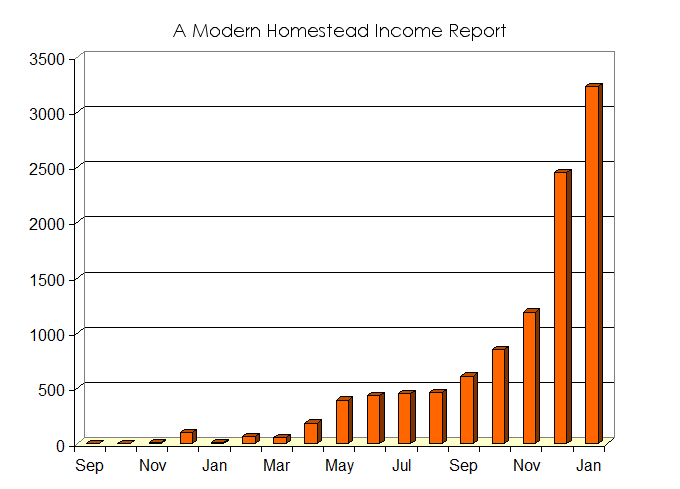 Then I took the techniques I had tested on A Modern Homestead and applied them to a brand new blog that in its 2nd month brought in $300 with just 6,000 page views! Then I helped my brother do so. Then I taught my blogging friends and they started making real money too! Along the way I made many mistakes that kept me from earning the income my blog was capable of bringing in, even from 1,000 page views and up. But eventually, I had enough research and experience under my belt that I started testing out all sorts of income ideas! Right off the bat, I made the mistake of believing that I wasn’t good enough yet. That I wasn’t famous enough or big enough in the blogging world to matter. Big mistake! 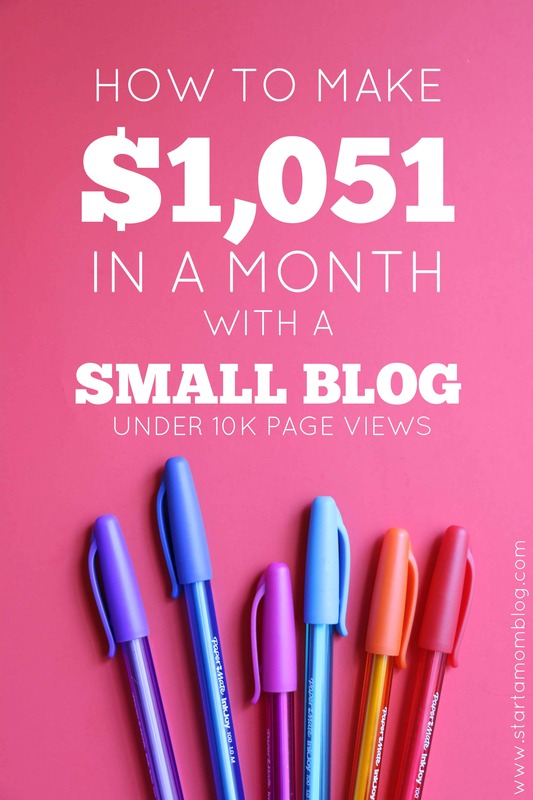 It doesn’t matter how small you are, or that you’re just starting, or that you only have 1,000 page views a month. You matter! People come to your site because they want to hear what you have to say! And as you grow the number of people who want to hear from you grows as well! You don’t hit 100,000 page views a month and then all of a sudden finally have something worthwhile to say! The things you write about matter to the people who read your blog; don’t ever forget that. My second mistake cost me so much money I have to fight back tears of frustration every time I think of it! I simply didn’t properly monetize my blog from the very beginning. Again, I just assumed I needed to wait. So I started out with Adsense and watched my sad little earnings trickle in. Earning less than $0.30 a day made it difficult to justify all the time I was spending on my blog. If I had known about the other ad networks that pay much higher CPMs I would have been able to support my blog from the beginning! Eventually, I learned from my mistakes and started seeing real successes! I found the right ad network for my site that would allow me to see real income from the page views I was already bringing in. By making that switch I went from making $36 a month on ads to making over $250! All with the same number of page views! I stopped chasing page views completely! Instead of constantly watching my page view numbers and working to make that number higher and higher, I shifted my thinking to other things. Though high page views do mean more ad revenue, there are so many other income sources available for every blogger! So, taking a step back and looking at my resources, my knowledge, and my audience, I was able to find ways to leverage my blog exactly where I was. Ready to Make REAL Money Blogging? How is that possible?? Well, one blogger knows how to properly leverage their resources while the other doesn’t! 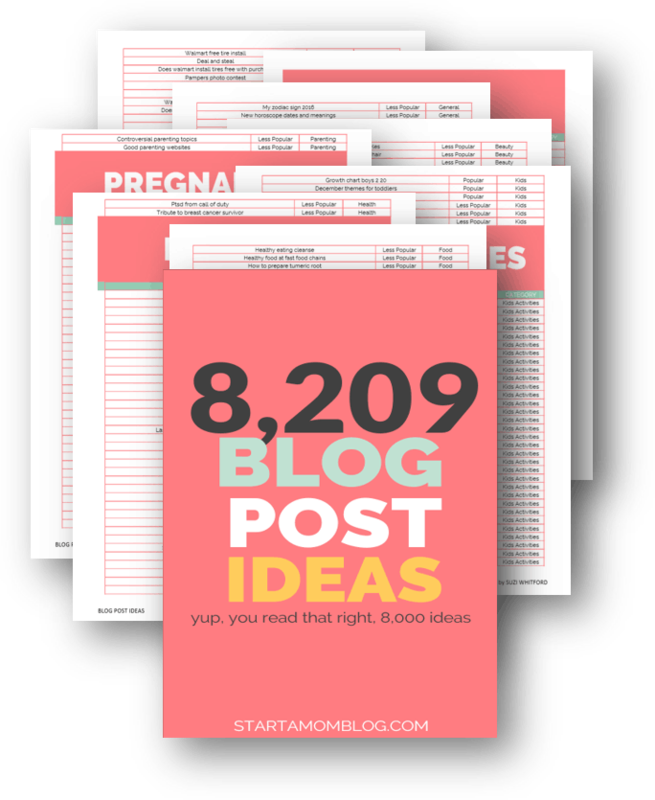 When my blogging friends started seeing my income numbers, they were asking me for every detail of what I was dong to make so much! So I wrote up everything that I’ve learned into my new book Make Money Blogging at ANY Level. 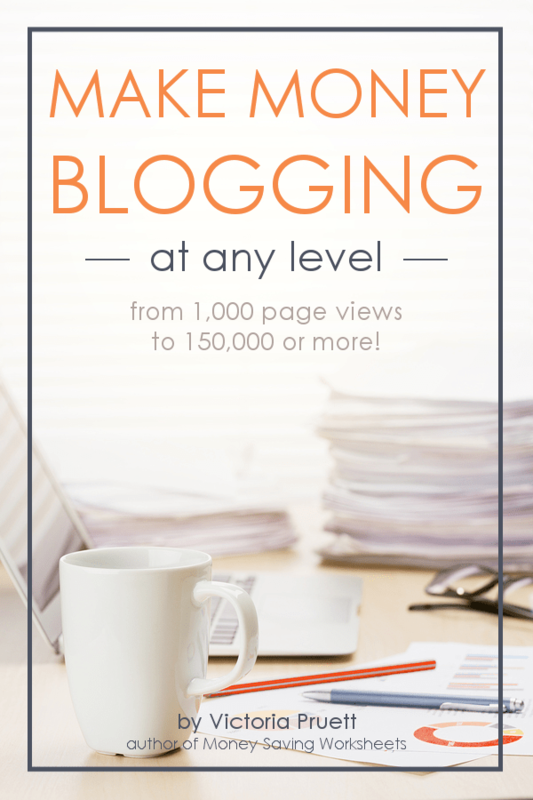 This book has everything you need to help you get the most money out of your blog, whether you have 1,000 page views, or 150,000 page views! It’s already helped so many bloggers, why not you too! Wondering What You’ll Get From the Book? How to get yourself and your blog ready to make money. Yes, this is part of being a professional, paid blogger! 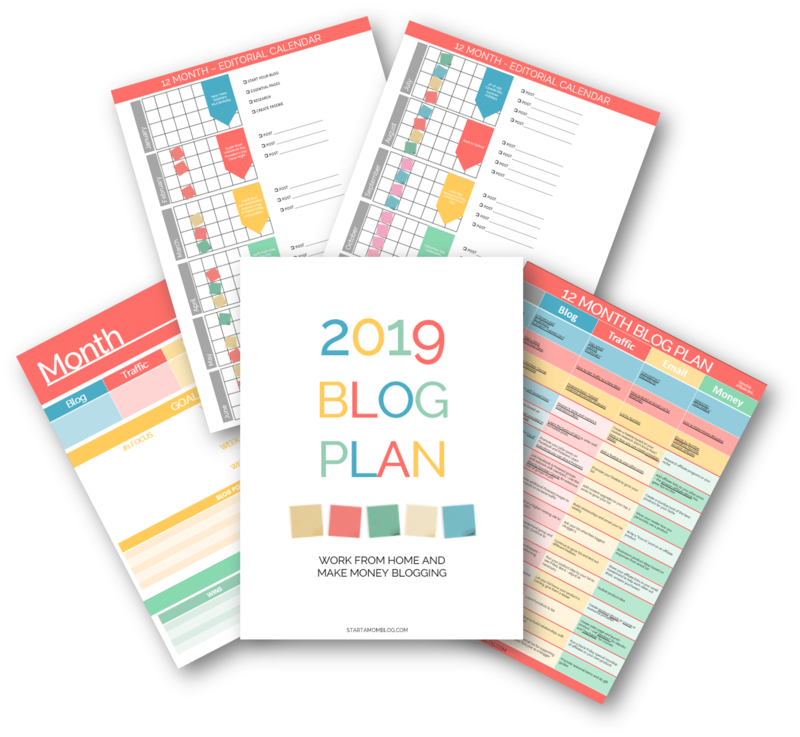 Make sure you and your blog are at your best with a step by step guide and worksheet set to help! All the income sources you can pursue for your blog size, and how to maximize those streams. Do you know all the ways you can be making money as a blogger? Are you sure? How to contact companies directly for sponsorship opportunities and how much you should charge. Plus, get an email template to take some of the fear out of cold contact attempts. All the tools you need to make sure your blog stays profitable. Don’t be a one hit wonder, make sure your blog is a source of income for years to come. Want to hear what other bloggers are saying about Make Money Blogging at ANY Level? Click here to read reviews! Thank you for letting me share my story with you today. I hope it encourages you that real money can be made with your blog, no matter how many monthly page views you have! 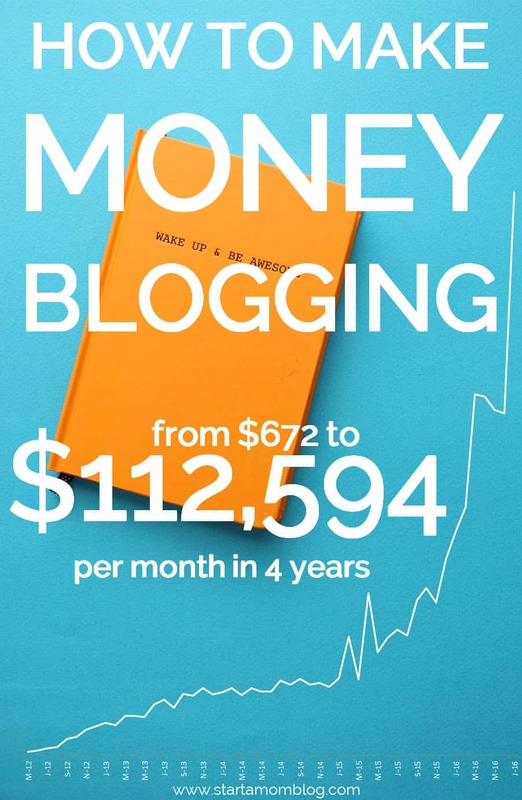 Are you ready to start making real money from your blog? 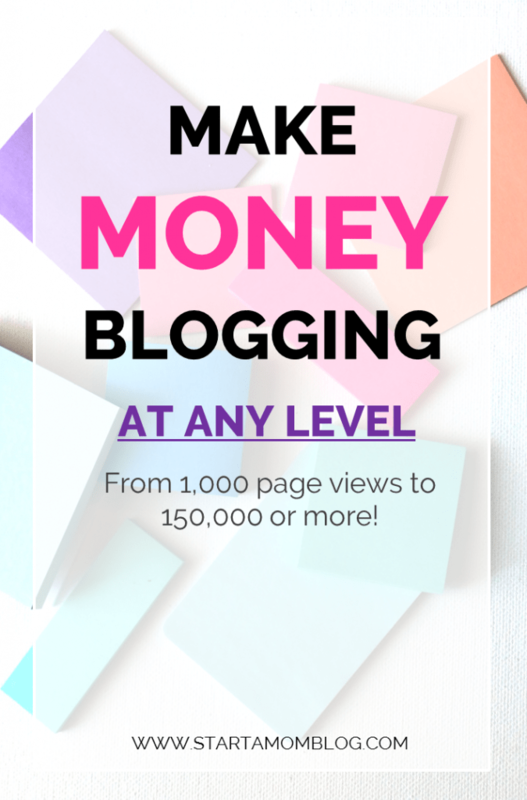 Grab my book Make Money Blogging at ANY Level and start leveraging your blog today! Thank you so much Victoria for sharing your journey and your amazing ebook! I normally do not feature salesy posts, but I like Victoria’s ebook because of three big reasons. It’s super affordable, most courses and ebooks on how to make money blogging go for over $100, but not Victoria’s ebook. It’s written by a mom blogger who understands your struggles, and who better to support than a fellow mom blogger raising little ones and blogging in the margins of time. Lastly, it’s a step by step guide to help you, even if you are just starting out and have a small blog. Her advice is fantastic and different than mine – so you get a whole new perspective on this making money with a blog thing! StartaMomBlog.com is not all about me. It’s about mom bloggers helping each other out. Helping each other grow and supporting each other. Thank you for spending time here learning and growing! I can’t wait to hear your success story too! I’d love to feature you. If you liked this post would you email it to your friends and family? Or if that may be a bit too much, could you pin it to Pinterest? Thank you so so much! This is truly inspiring, thank you for sharing. I am three weeks into my blog and it has been both a challenge and such an amazing journey. I never really knew I had so much to say until I started saying it! It’s it an amazing journey Julia? I’m so happy you’re on this adventure with us all! Suzi! Thank you so much for sharing my story!! It’s truly humbling to be able to work with other bloggers on increasing their income, no matter how big or small their blog is! Thank you again for putting this in front of your audience! I hope it helps them get jump started making money from the efforts they are already putting in!! I have already become hooked on your posts! I am not a mom, but am trying to start up my own blog now, so I can eventually have a steady income to rely on when I do have a little family in the future! I have been getting my hands on as many books as I can, looking for some guidance and tips. If you know of anything else that could help me or any other books you would highly reccomend, I would be so so appreciative! Thanks in advance. there that I’m completely confused .. Any tips? Thanks! Thank you for sharing your story. It gives other stay at home moms like me more hope to not give up and to keep on truckin’. I do have a question though. I just celebrated my 1 year anniversary in blogging. I would say my blog has started picking up momentum in the last 6 months but at the end of the year I decided to take a huge step and change my niche from beauty to a broader lifestyle niche because I like to talk about more than just beauty but things actually going on daily in my life or the world. My question is what is the best way to make these changes without sacrificing starting a new domain and having to go through all my affiliate changes? Should I pick new affiliates to go with that are more geared towards my new blog or keep the old ones that have mildly been working for me? I don’t feel the need to rebrand too much just needed a few tweaks here and there. Google AdSense turned me down siting that I didn’t have enough blogs to give me a try. It’s hard to advertise with them if they won’t do it.